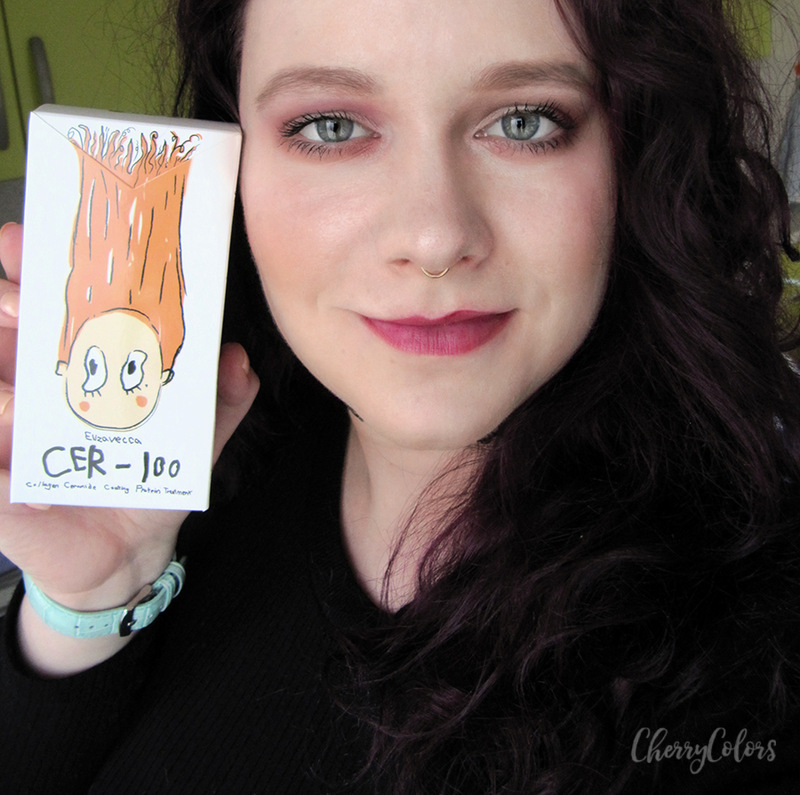 Product I've been LOVING - Elizavecca Cer 100 - Cherry Colors - Cosmetics Heaven! Hair care hasn't really been a topic on my blog simply because I never put much thought into it. I use shampoos, hair conditioners, and hair masks, cheap and expensive ones, but nothing really made a big difference with my hair. Until now. Today I will be talking about a product that excited me simply because I saw a difference in my hair while using it. My hair is softer, looks shinier and feels less coarse than it did before. 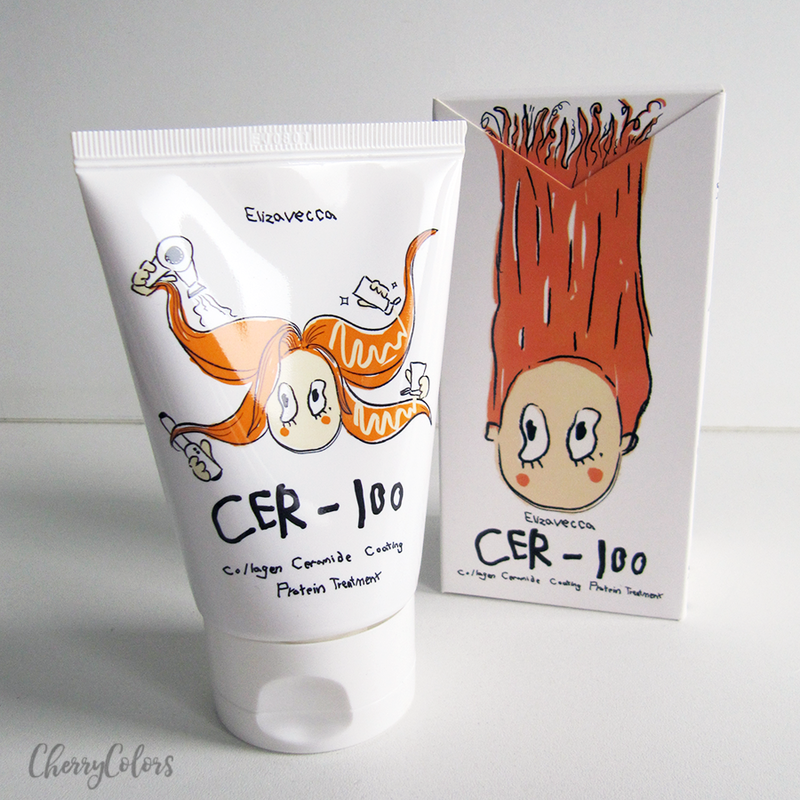 Ladies and gentleman, this right here is the product I'm talking about - Elizavecca Cer 100. Inject full of nutrient into your hair with ELIZAVECCA CER-100 Collagen Coating Protein Ion Injection! It is a hair essence that transforms damaged, split hair to soft silky hair. Containing collagen, keratin and various botanical ingredients, it prevents hair damage and nourishes your har. After shampooing, towel dry your hair. Apply an appropriate amount of the product on the slightly wet hair to provide nourishment. You can also apply the product on a dry hair. 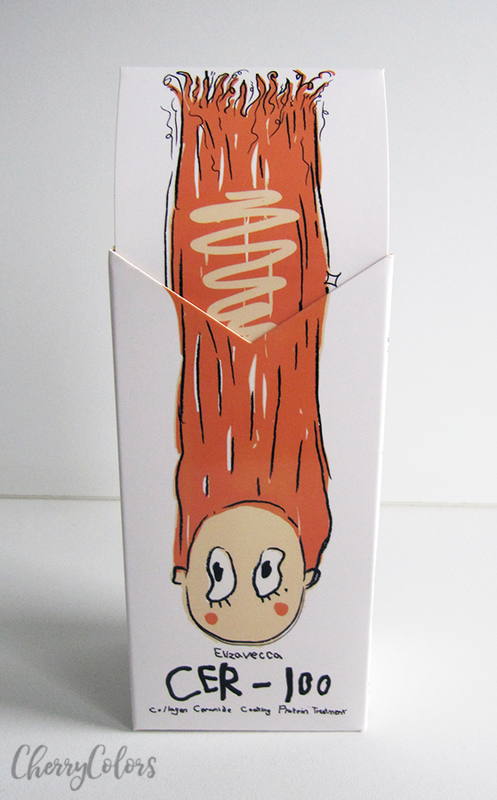 The hair treatment comes in a funny looking box. It's white with a young lady drawn on and if you want to open the box you have to pull the upper part of the box. As you do that, you can see the girl's hair grow from this messy bunch of hair to smooth looking hair. 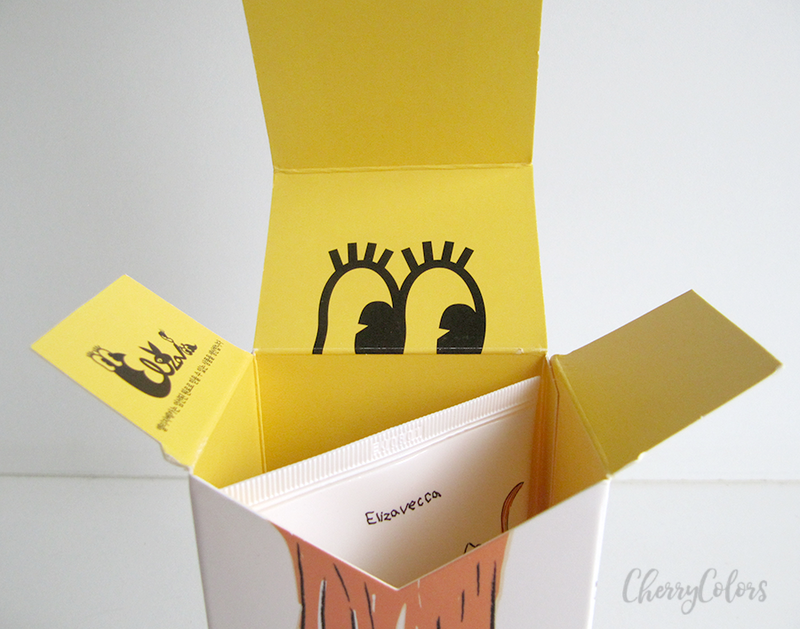 Once you open the box, a new design is revealed. I find it cute as it gives a bit of character to the product inside. Inside the tub is hidden. It contains 50ml of product and a lot of air. This means that the packaging is big and it definitely could be smaller considering how much of the product is inside. 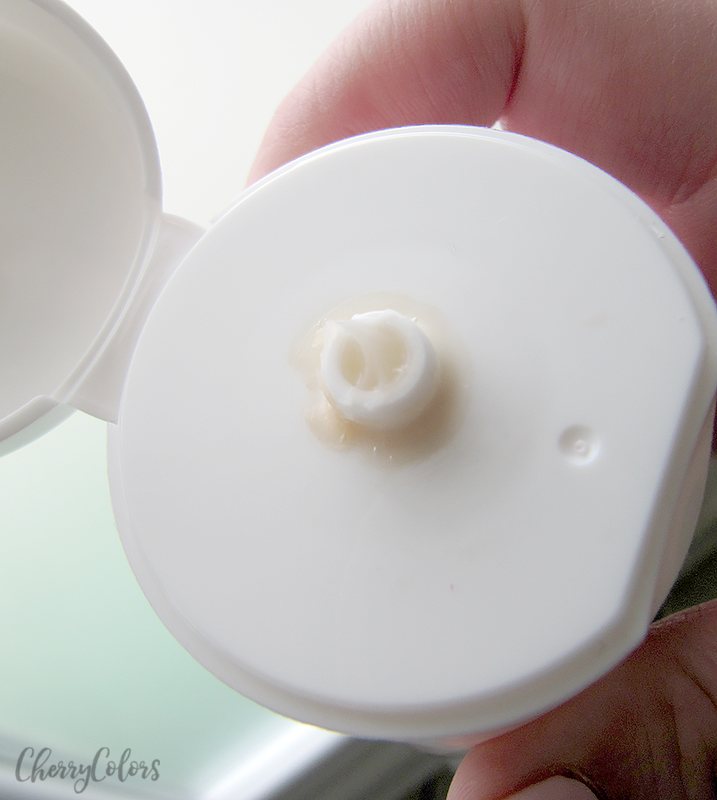 The tub opens with a cap and as you can see on the picture above, the product tends to accumulate next to the opening. Why? Because the cap doesn't close 100% unless you create a vacuum effect when you're closing the tube. It's weird. But even if it doesn't close all the way (doesn't click), it is still safe for short trips (like to the gym and back). The product is this gel-like cream that is easy to spread and feels very soft on the skin. But of course, we're not using it for our skin but for our hair. The smell is definitely noticeable, but it's not strong. It has a flowery scent that washes away. Water, Cyclopentasiloxane, Dimethicone, PEG-14M, Glycerin, Dimethicone/Vinyl Dimethicone Crosspolymer, Silk Amino Acids, Hydrolyzed Collagen, Hydrolyzed Keratin, Gelatin, Avena Sativa (Oat) Kernel Extract, Hydrolyzed Corn Protein, Hydrolyzed Wheat Protein, Hydrolyzed Soy Protein, Apium Graveolens (Celery) Extract, Brassica Oleracea Capitata (Cabbage) Leaf Extract, Oryza Sativa (Rice) Extract, Solanum Lycopersicum (Tomato) Fruit Extract, Brassica Rapa (Turnip) Leaf Extract, Daucus Carota Sativa (Carrot) Root Extract, Brassica Oleracea Italica (Broccoli) Extract, Hydroxyethyl Acrylate/Sodium Acryloyldimethyl Taurarate Copolymer, Phenoxyethanol, Polyacrylate-13, Polyisobutene, Polysorbate 20, Caramel, Chlorphenesin, Fragrance. At first, I didn't notice any difference than before I was using it. But after a while, I realized that I don't need to dye my hair that much (went from every 14 days to maintain my magenta hair to once per month) and it looks super shiny, feels soft and less coarse which is how my curls were before. I've been complimented on my hair for the first time in my life - about how pretty it looks and how vivid does the color look. Which for me it's a win-win situation and I need to stock up on this product. + works wonders on my curly hair! 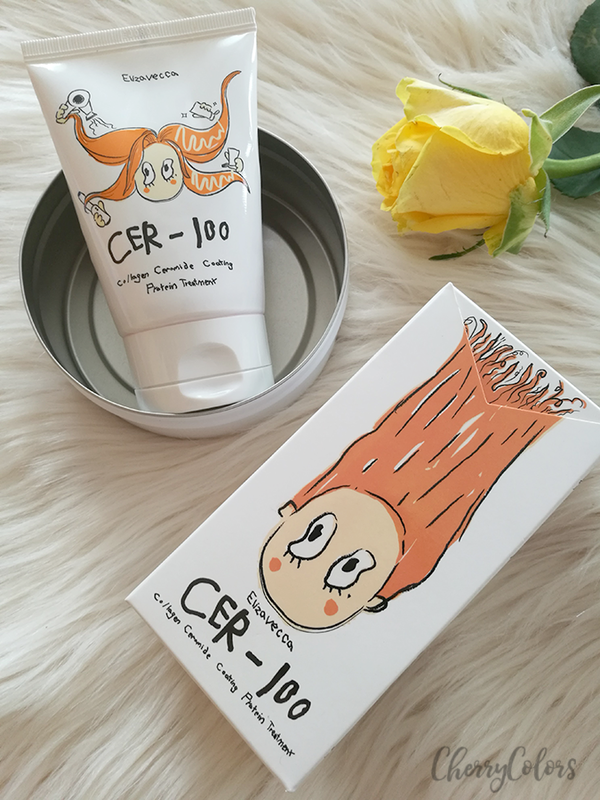 I am very happy with this product and I will definitely repurchase it. It made a huge difference with my hair and I love it! The downside is the price (tho buying in bulk makes it cheaper) as you only get 50ml of product in this huge packaging. I love it but I wish it would come in a smaller packaging or maybe at a lower price point since I went quickly through this tube and now I need MORE! Other than that I like the effect it has on my hair and now I know to check other hair related products from Asian vendors. You can get yours on the official Elizavecca Store or on Jolse and other similar stores.